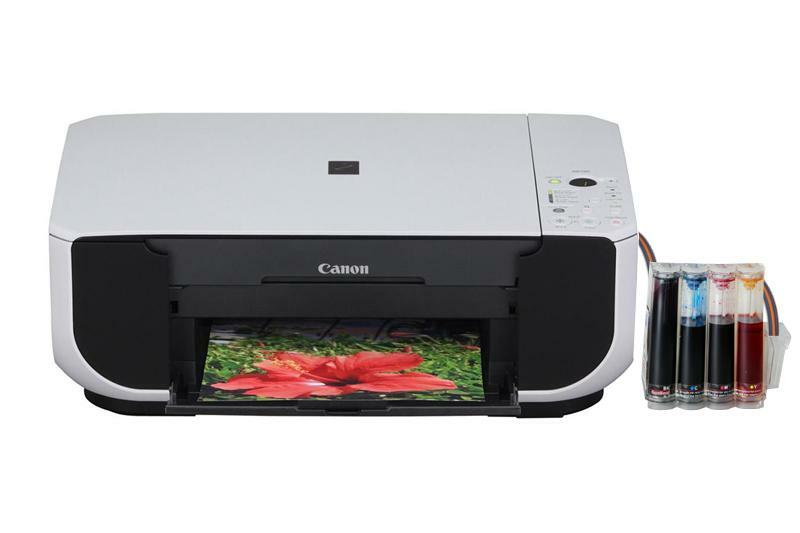 All-in-one Canon PIXMA MP190 with CISS - Inksystem - save money on ink! Buy All-in-one Canon PIXMA MP190 with CISS and make 30 times more quality prints for the same money! Pay only 0.04 USD for A-4 full color print! ¹ Declared yield value in accordance with ISO/IEC 24711. Values obtained by continuous printing. ² Printing Canon standard photos continuously on 10x15cm Photo Paper Plus Glossy II with default settings using Windows Vista printer driver in borderless printing mode and Windows Vista Home Premium Photo Gallery. Declared yield value determined based on Canon standard method referring to ISO/IEC 24711. ¹ FCOT on plain paper is measured based on the test standard of ISO/IEC 24735 annex D. ESAT ADF copy speed on plain paper is measured based on the test standard of ISO/IEC 24735.